The magnificent ruins of the prehistoric peoples of the American Southwest have always been a source of wonder and awe. But the stories of the men and women who devoted their lives to the discovery and study of these lost cultures and the places they called home have never before been adequately told. 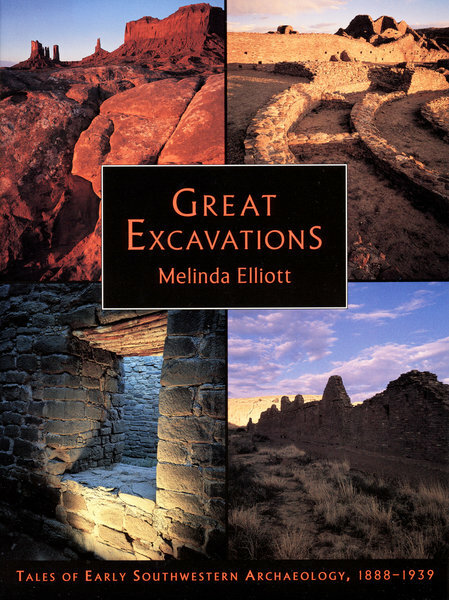 Now, in Great Excavations, journalist and researcher Melinda Elliott uncovers the crucial and exciting role played by the great archaeologists of the late nineteenth and early twentieth centuries in unearthing the Southwest’s prehistoric past. With chapters on Mesa Verde, Pecos Pueblo, Aztec Ruin, Hawikuh, Pueblo Bonito, Chaco Canyon, Snaketown, Awatovi, and the Rainbow Bridge-Monument Valley Expedition.